Abstract: This fourteenth episode is about Michael Jackson’s HIStory album. On the 7th September in 1996 Jackson started his HIStory World Tour in Letna Prague, Czech Republic. 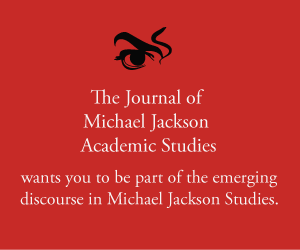 Karin and Elizabeth’s conversation explores the many ways in which Michael Jackson was aware of, knowledgeable about, and concerned with the subject of history, and how he used this in his work. They discuss the teaser trailer, various tracks, and the problematic nature of the way we think about history, as well as the song, Little Susie, and Elizabeth’s upcoming book, The Dangerous Philosophies of Michael Jackson: His Music, His Persona, and His Artistic Afterlife. Merx, Karin, and Elizabeth Amisu. 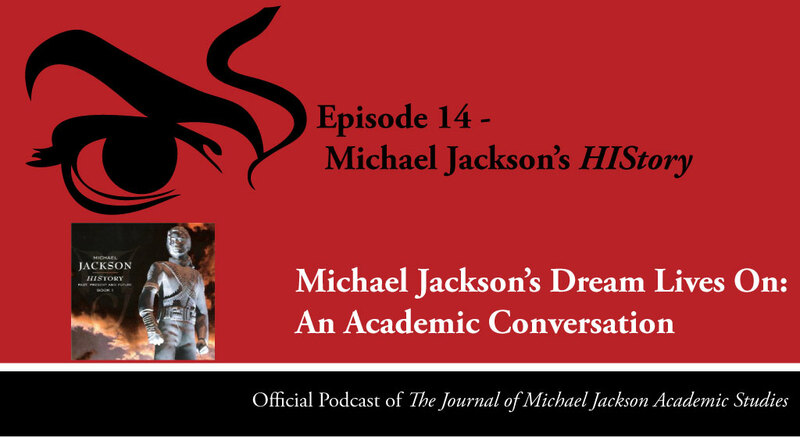 “Episode 14 – Michael Jackson’s ‘History’.” Podcast, Michael Jackson’s Dream Lives On: An Academic Conversation 3, no. 1 (2016). Published electronically 7/9/16. http://michaeljacksonstudies.org/episode-14-michael-jacksons-history/. Just as much as he resisted gender with ‘Dangerous’, he resists genre with ‘HIStory’. 5. Elizabeth Amisu, ‘Horcruxes: Michael (Split Seven Ways) Jackson’, The Dangerous Philosophies of Michael Jackson: His Music, His Persona, and His Artistic Afterlife (CA: Praeger, 2016). 10. Blood on the Dance Floor: History in the Mix (Michael Jackson, 1997).